Mmm coffee!! Except…now that I’ve been off coffee for pregnancy, I’m wondering if I really want to start the habit back up again. I might try to train myself to like mate tea instead…which is actually pretty tasty and coffee-like (as tea goes) and has way less of the ‘bad’ caffeine than even regular tea. Minimum 5 cups/day, or I’m not functional. ‘Nuff said. Funny study. I’m not a coffee drinker, but I do drink tea. BAHAHAHA this was great enough that I shared with my co-worker coffee addicts. 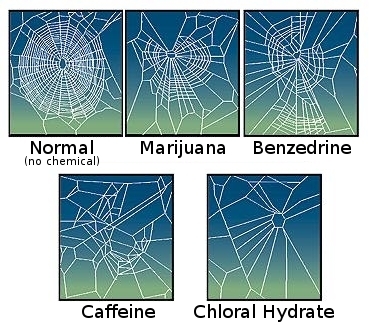 The spider pic really got me. Haha, replace “coffee” with “tea,” and I’m behind you 100%. I’ve got a pretty low tolerance for caffeine, so a cup of coffee leaves me nauseous and super jittery. A few cups of a rich, dark Early Grey, though, or a tasty blackcurrant tea, and I’m totally in business. I get that crazy caffeinated buzz, and I am ready to tackle EVERYTHING (my current state of involved-in-way-too-much can perhaps be blamed on the tea buzz. :p).